HOTELS, BUSINESSES, GOVERNMENT departments and even Leinster House could be made to pay more for its TV licence under new plans due for consideration. Yesterday, Minister for Communications Denis Naughten secured Cabinet approval to establish a high-level working group on the future funding of public service broadcasting. The group is set to examine options for the collection of the TV licence fee and how to crack down on evaders. The high level of evasion rate of the TV licence is currently at 14%, which is resulting in a loss of €40 million annually to public service broadcasting, namely RTÉ, TG4 and the Broadcasting Fund which supports the independent audio-visual production sector. The group is to consider all options, which includes whether the Revenue Commissioners should take over the collection of the fee. It will also be tasked with investigating how a more equitable contribution from the business sector can be made. One such idea being floated is the introduction of different rates or categories of licence. The TV licence fee for each household is currently €160. However, government sources state that businesses, such as hotels, and also government departments and State properties, which could have hundreds of televisions, are only liable to pay for one TV licence per building under the current law. It’s understood the UK categorisation system is being looked as a possible model that could be introduced in Ireland. The UK model provides for different rates of fees for private residential, hotels and mobile homes and has different rules in place for different businesses. 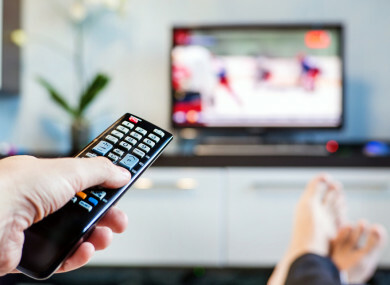 If your business has multiple premises, you may need a Company Group TV Licence to cover all TVs used. Hotels pay a fee of £150.50 for the first 15 rooms then an additional fee of £150.50 for every extra five rooms or accommodation unit. Government sources state that hotels in Ireland will have to contribute more, stating that hotels with more than 50 rooms will have to pay more than they do presently. Consideration will be given to options including one licence fee for up to 50 rooms, with further increases for hotels with between 50 and 150 rooms and larger. However, it is believed that smaller hotels and B&Bs will not be impacted by any of the proposed rule changes. There is also no suggestion that hotels will have to buy one licence per television. Similarly, more will be asked from government departments. For example, Leinster House has around 1,000 televisions in the building, yet the Houses of the Oireachtas is only required to pay for one TV licence. The Department of Communications, which is located across three buildings, has hundreds of TV sets, yet it is only required to have one licence per building. In addition with looking at how to get more from Irish businesses, the group will investigate whether private debt collectors may be used in the future to enforce payment of TV licences. It will also look at whether a replacement of the fee with a Broadcasting Charge or a variation might be needed. Email “Hotels and businesses may have to pay more for TV licences”. Feedback on “Hotels and businesses may have to pay more for TV licences”.